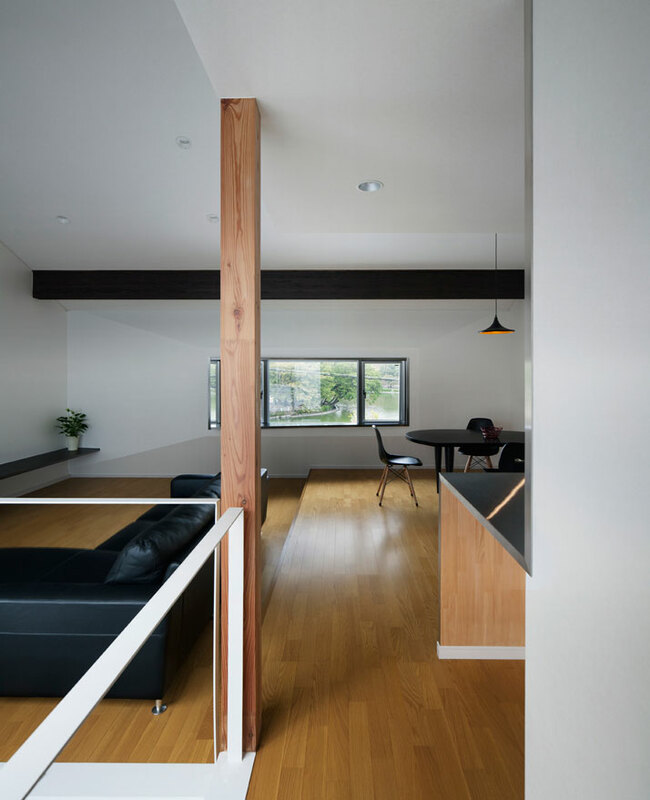 Studio SKLIM is back with a new residential project in Nagoya’s prefecture in Japan. 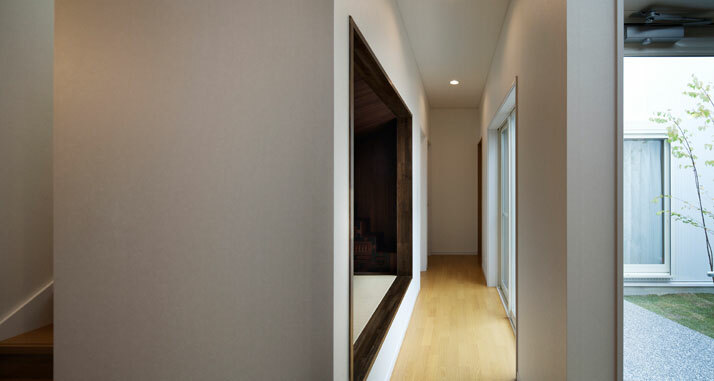 The Hansha Reflection house is situated at the entrance of Misakimizube Koen, a picturesque park that fronts a lake which is flanked by Sakura trees. 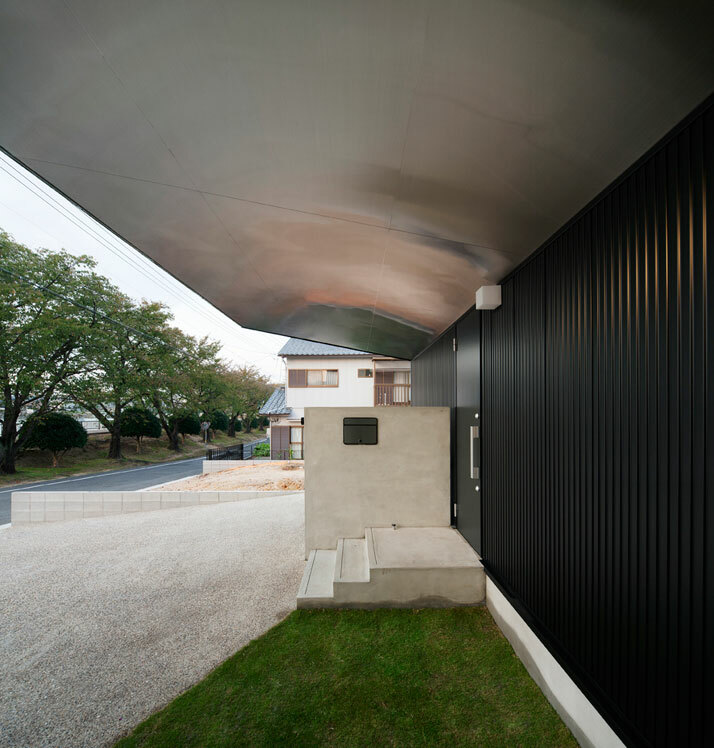 In the approach to integrate the house, the architects designed it in such a manner so that it can be conceived to be part of the environment despite its futuristic appearance. 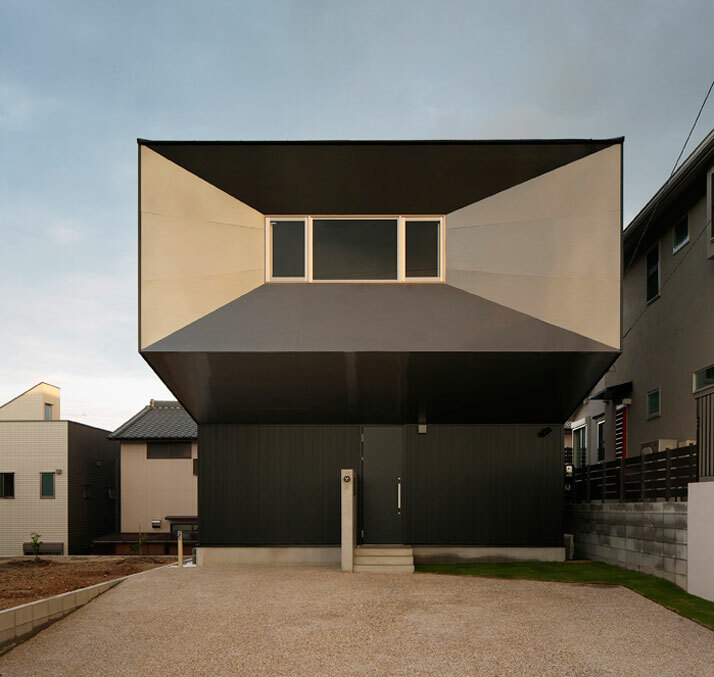 However, with such architectural designs it seems as if Japan is the place to be in order to take your plain old family house to new avant-garde levels. 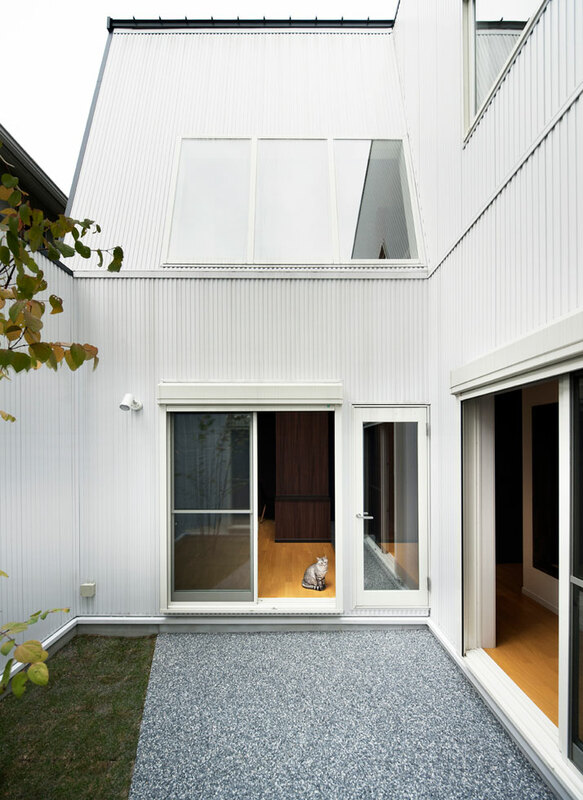 The Hansha Reflection houseis a two-storey detached construction with a courtyard and a roof deck totaling 124 square meters. The architectural program of the house has been divided into three zones; public, service and private with a further punctuation of the main massing with the landscape element; providing spaces for the courtyard and roof deck. The ground level or base of the construction was further chiseled with structure, daylight, ventilation and viewpoint concerns – thus formulating the internal courtyard, as well as additional car parking. The chiseling of the structure as well as the moving up of the public spaces to the upper level allows accommodation for three outdoor parking spaces on the ground level. 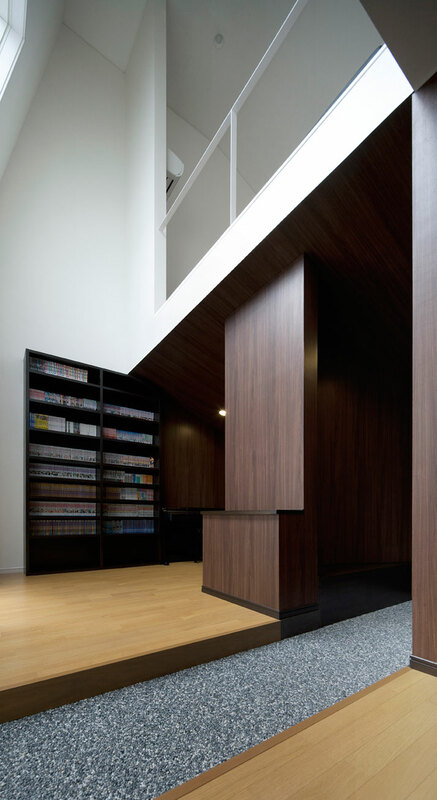 In an attempt to take full advantage of the scenic views, the architects have made the public areas – the kitchen, living room and dining room on the upper level, into an open floor plan. 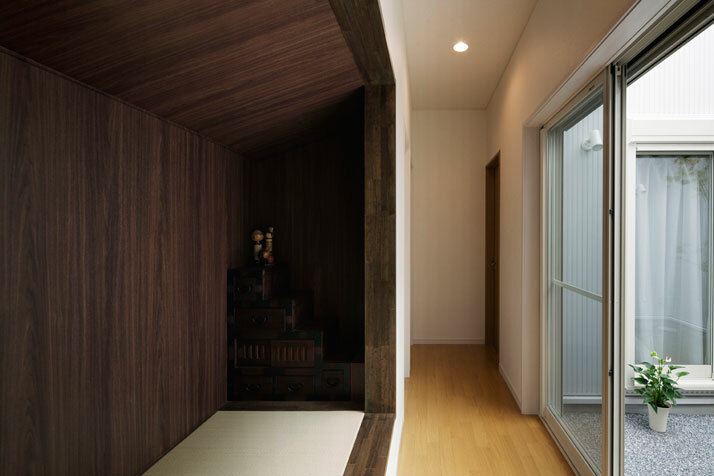 On the ground level, the program comprises the private living quarters such as the main bedroom, the music room/study, the Tatami room, a bathroom and a WC, a walk-in closet and the child’s room. Moreover, the bedroom and the music/study room have direct access to the sunlit internal courtyard. 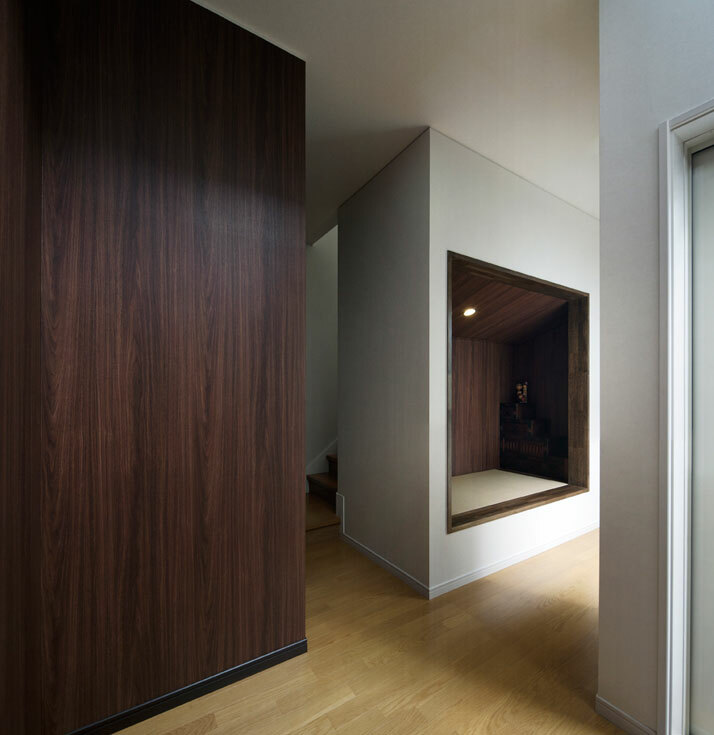 The interior design approach of The Hansha Reflection house reflects elements of modern design infused with Japanese style. Wood and steel have been used in abundance; natural oak wood flooring is apparent throughout the house complemented by dark timber stained surfaces. 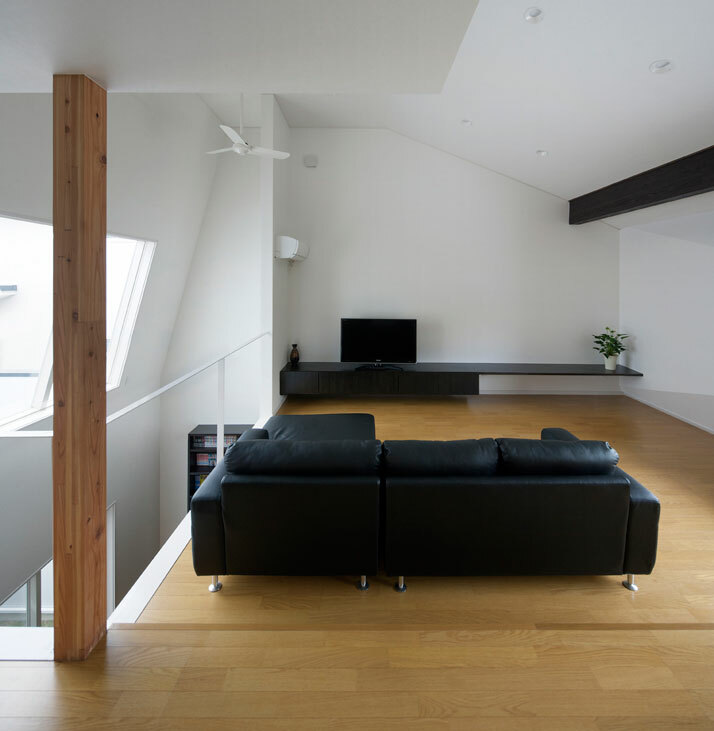 Contrasting achromatic white and black colors have been used on surfaces such as walls and furnishings. 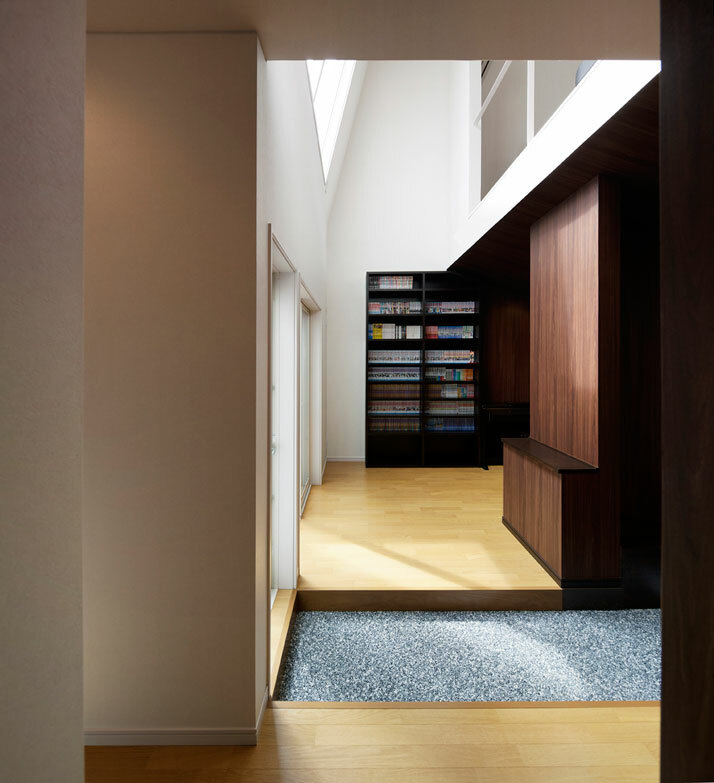 The double height opening of the staircase floods the ground level with light. While signature mid-century modern furniture designer pieces balance the interior style between Japanese modern and mid-century modern. 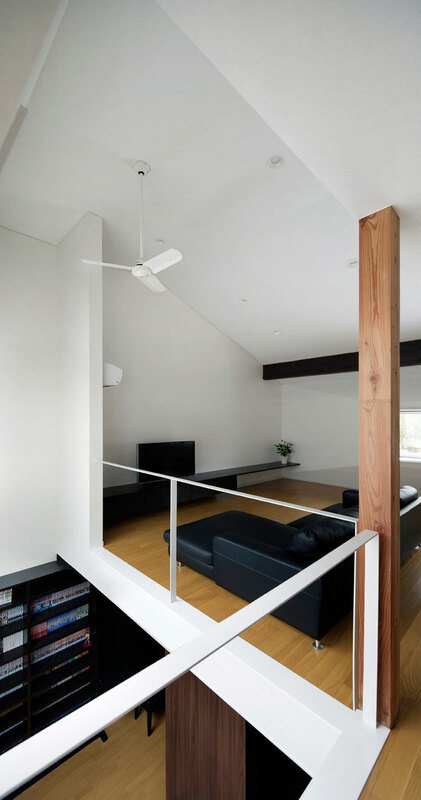 The structure of The Hansha Reflection house is constructed out of timber, not common in low-rise Japanese houses. Timber itself has the strongest weight to strength ratio amongst other building materials such as concrete and steel. 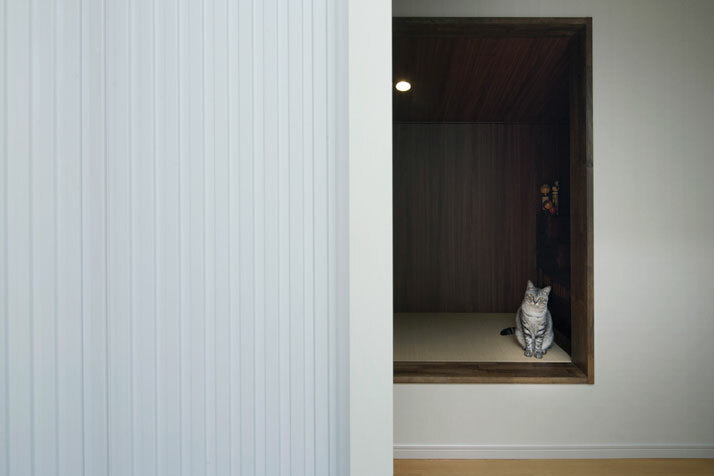 Using timber from a renewable source, together with building technology that uses a hybrid of a traditional mortise-and-tenon joint system with steel bracketing, the house pushes the omnipresent “boxed” building envelope for timber residential construction in Japan. The outer form of the Hansha Reflections House reflects the inner structure creating room for architectural expression on the façade and inclined surfaces. 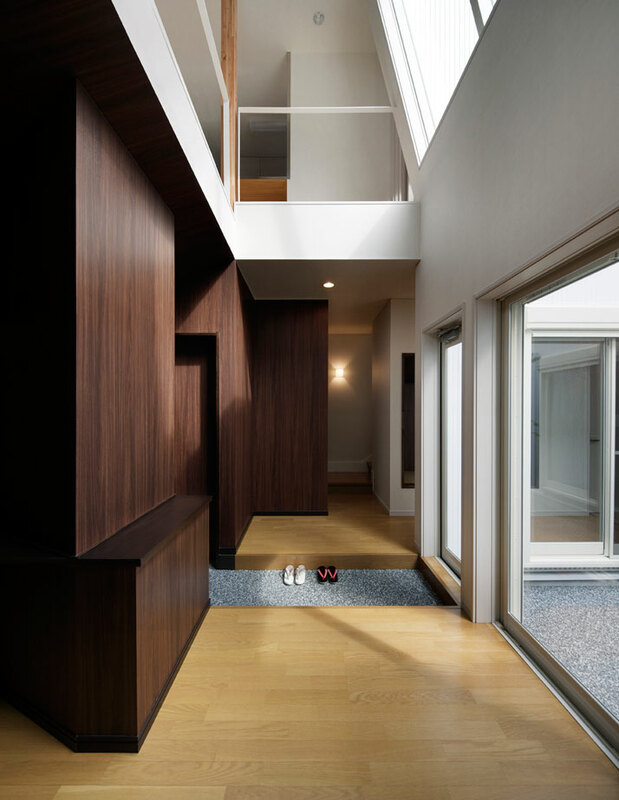 For instance, the asymmetrical window ledge was purposefully built on the upper level, providing a material continuity from exterior to interior and framing the picturesque view of the Sakura trees. 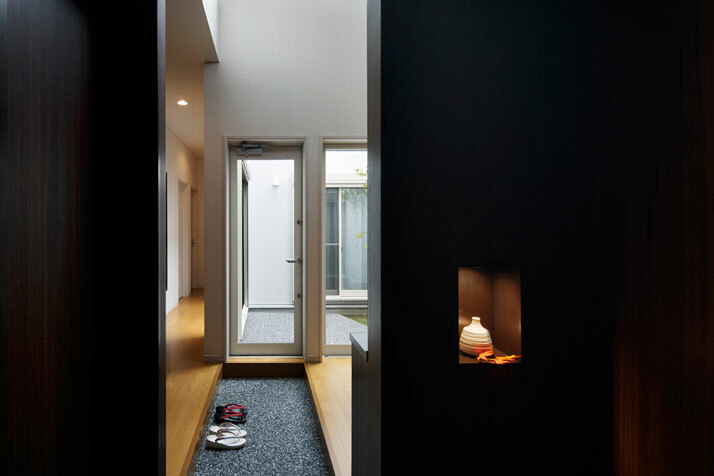 Despite the bulky volume of the house and the overall black reflective façade with few openings, the interior creates continuity with the exterior through the main window on the upper level as well as through the windows in the internal courtyard. 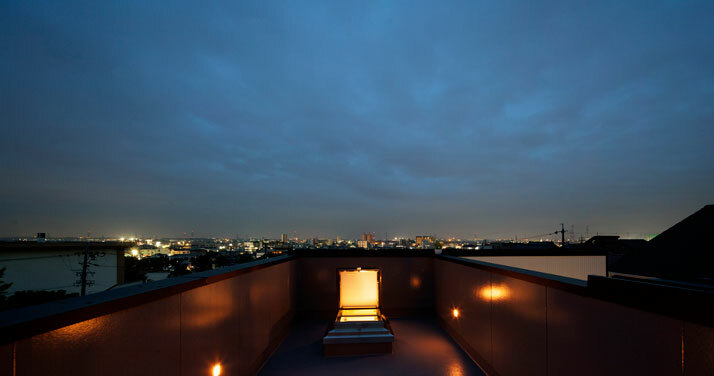 Additionally, the roof deck, the apex of the house further heightens one’s sense of place with its surroundings and provides the perfect viewing platform for both Hanami (Sakura) and Hanabi (Fireworks) festivals. 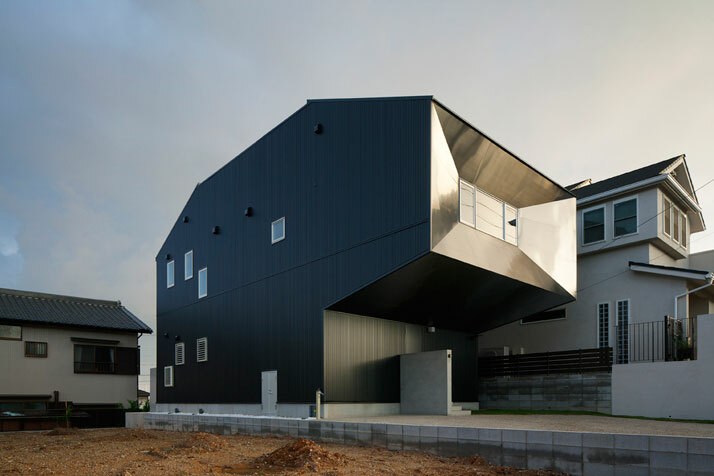 All in all, despite the fact that surface area-wise, The Hansha Reflection house is just an ordinary house, its design, form and overall architecture transform this ordinary family home to an avant-garde residence. 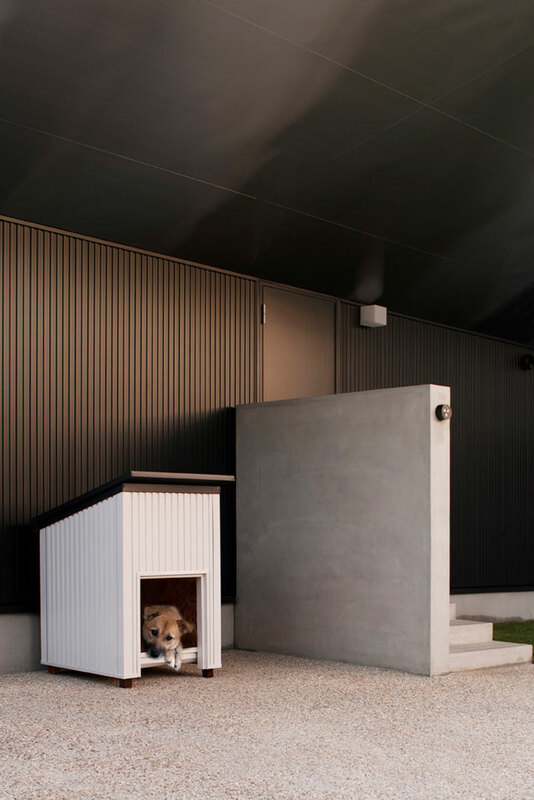 Studio SKLIM has paid particular attention to creating a house which reflects the inner structure creating room for architectural expression on the façade and on the inclined surfaces. 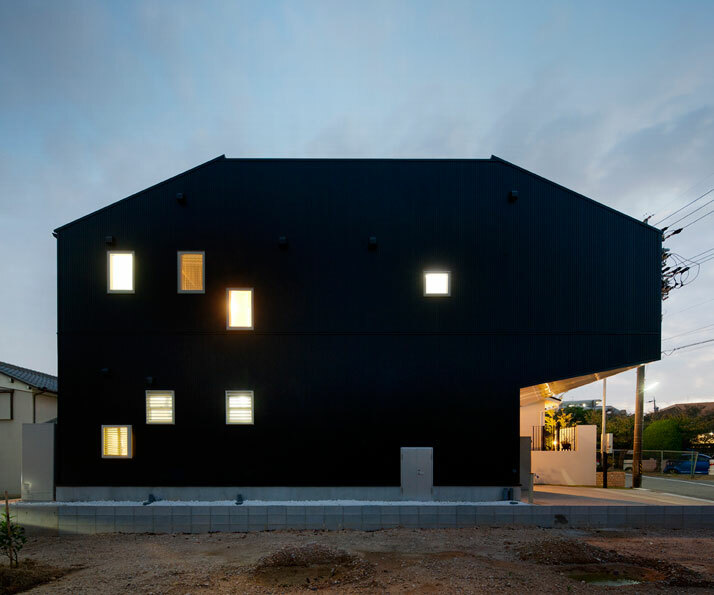 The Hansha Reflection house concentrates the liveliness of the site to formulate a dwelling that looks back at the surroundings with a slight twist.